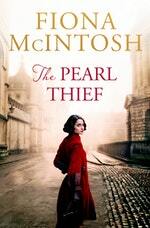 A sweeping, epic story of love and betrayal from Fiona McIntosh; The Pearl Thief will leave a lasting impression on your book club. 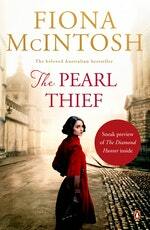 Antique jewellery curator Severine Kassel uncovers some exquisite Byzantine pearls that reignite a deeply repressed family trauma from her youth. So begins a frenzied search for a Nazi war criminal, as the man who once hunted Severine now becomes her prey. In the prologue, Samuel Kassowicz puts his son Petr on the Kindertransport against his wife’s strong wishes. Do you think he made the right decision at the time? In what ways has Katerina’s work as a jewellery curator prepared her for the challenges she later faces in her personal life? What do you think Otto means when he tells Katerina, ‘There are rules to war’? Daniel describes Ruda Mayek as, ‘the devil … a monster that walks this earth in plain sight’. Do you agree with this assessment? How else might we perceive him? Katerina tells Daniel that, ‘perhaps life was preparing me for this hunt’. In what ways do you think this is true? And in what ways does she feel she needs to become a new version of herself to track down Mayek? Katerina was determined that she had no susceptibility to being romanced, or to falling in love. Why did she feel this way? In what ways did Edward manage to prove her wrong? Otto is described as displaying, ‘love of the most generous kind’. What does this mean, in your eyes? Katerina was prepared to risk her own life in order to end Ruda Mayek’s. Do you see this as a weakness or a strength in her character? Can you appreciate the attitudes of Petr Kassowicz’s adopted parents? Did Katerina do the right thing in keeping her baby, despite how he was conceived? Which character changes the most throughout the course of the story? Do you think this book has a happy ending? The stars have aligned for your next book club hit. A reading guide for Michelle Obama’s intimate, powerful and inspiring memoir. 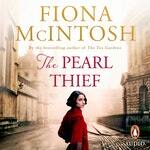 Looking for more book clubs?